Even if you take great care to stay safe when driving, the other drivers on the road can still pose potential dangers. While a dash cam can’t prevent an accident or another damaging incident from occurring, it can help tremendously in the aftermath. Dash cams are an invaluable safeguard. A dashboard-mounted video camera can capture reckless drivers, hit-and-run drivers, angry drivers and other threats. Video footage can help clear of you any wrongdoing on the road while identifying anyone else responsible. Are Dash Cams Popular in the United States? Why Should I Have a Dashboard Camera? 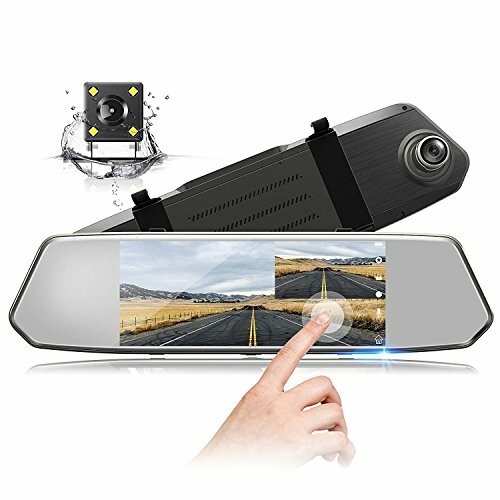 How Do I Find the Best Dash Cam? A high-resolution camera with emergency recording features designed to capture all footage before and after an accident. 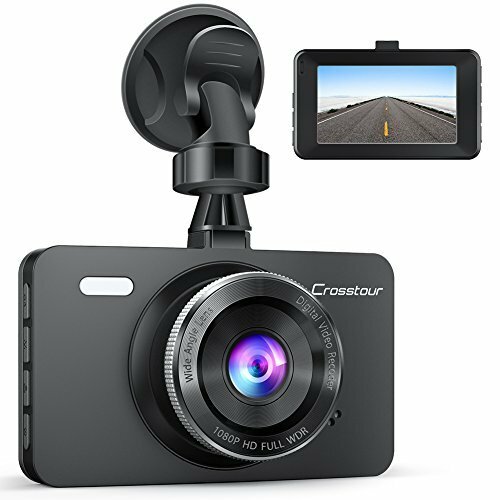 More than simply a video camera, this device features a variety of cool tech to help keep you safe on the road. Advanced Driver Assistance Systems (ADAS) provides real-time lane departure alerts. G-sensor technology allows for automatic footage archival before, during and after any collision. The camera covers three full lanes of traffic with an ultra-wide-angle lens and large F1.8 apertures. Night vision and high-speed capture capabilities mean you can catch even fine details on a moving object, such as a car trying to flee the scene. Seven specific and useful functions combined with a wide lens and solid construction. This 1080P HD camera has loop recording, time stamp, motion detection, optional audio, license plate stamp and more. Can be attached by either suction cup or adhesive mount. Covers daily driving although the audio features make it suitable for Uber and other passenger vehicles, too. The camera has a large (three inch) LCD screen. You can watch footage recently, even at the scene of an accident. Wide dynamic range and G-sensor shock technology combine to capture clear images, even at night, whenever the car is bumped or moved. A highly durable and temperature resistant camera backed by a lifetime guarantee. Unfortunately, dash cams are often exposed to direct sunlight, extreme cold and other harsh temperatures. The Old Shark is a 1080P HD car recorder with a zinc alloy metal shell for improved heat protection and all-around durability. Also delivers smooth video in practically all conditions thanks to a stable high chipset. Recording starts and stops automatically in connection to the ignition. A Gravity Sensor allows for collision-based recording even when the car is parked. A 170-degree wide angle lens captures multiple lanes of traffic. The Aukey Dash Cam is an all-around good choice with a solid design and reliable recording options. 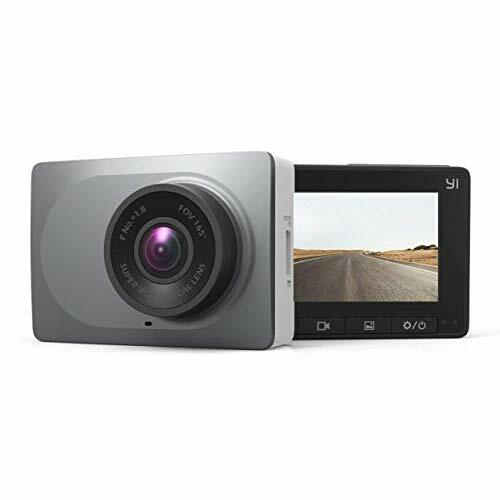 Hiding behind a relatively square and simple design is a full-featured dash cam with a lot of features and great picture quality. A Sony Exmor IMX323 Sensor captures fine detail in full HD resolution – even when shooting in low-light conditions. Sharp turns, sudden stops and other erratic movements will automatically trigger emergency recording mode. This is a durable camera which uses an internal supercapacitor to helps protect against extreme hot and cold temperatures. An included dual-port USB charger has a longer lifetime than cams which only use standard batteries. Can be mounted with either a suction cup or double-sided 3M pad. Front and rear dual lens camera provide total care protection with wide viewing angles and night vision capabilities. Not all collisions occur in the front of the car. Aside from the full HD 1080P front view recording, this dash cam from Toguard also includes a 480P waterproof rear cam. 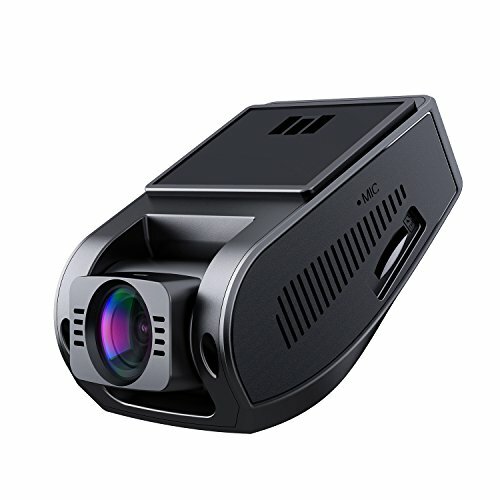 Both views have 4pcs night vision with auto-recording G-Sensor motion activation. The seven-inch display monitor allows for five viewing modes including picture-picture and full screen. When the display is turned off, the monitor turns into a real-time rearview mirror. The responsive touch screen allows for quick and easy operation. Cable clips and 3M sticker mount keep the cam secure either on the dashboard or behind the rearview mirror. Absolutely, and that popularity is growing every day! Dash cams have been popular in other countries such as Russia and South Korea for about a decade now. The craziest dash cam videos even go viral on YouTube! In some European countries, having a dash cam can actually lower your insurance rates. While American insurance companies don’t currently offer similar discounts, dash cams still help limit your financial liability in the event of an accident or other damage. Also called In-Car Cameras or Digital Video Recorders, dash cams are a video camera mounted into your vehicle. Most of these cameras are mounted on the windshield, although they can also be mounted on the dash. Dash cameras typically record a wide view of the front of the car, although dual-leans cameras are available which also record the back of the car. 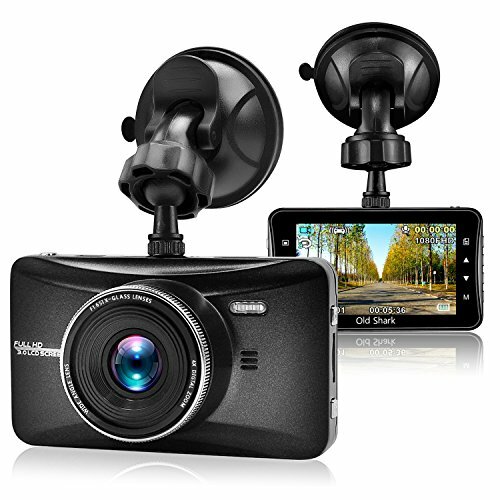 Dash cams have two features which make them different from traditional video cameras. First, dash cams start and stop recording automatically. The power supply acts as the on/off switch, so the camera operates in sync with the ignition. Dash cams are typically plugged into the cigarette lighter although more sophisticated models can be hardwired directly into the car’s electrical system. Also, a dash cam operates on a continuous loop. When the memory card is full, old footage is written over by new. This means the camera will always be able to record. While exact storage capacity of the memory card will vary by model, most cameras will record about 24 hours of footage before needing to loop. If an auto accident occurs, determining fault can be tricky. But a dash cam can provide impartial proof of what happened. If the other driver is at fault, but they’re trying to blame you, video evidence can help keep you in the clear. From valets to mechanics and beyond, more strangers are driving our cars than ever before. While most professionals are likely to treat your car with respect, a dash cam is a great way to catch the ones who don’t. Also allows you to keep a watchful eye over any teenage drivers in your family. You can’t watch your car 24/7, but certain types of dashboard cameras can. If anyone hits your parked car and attempts to flee the scene, your dashboard cam might be able to catch them in the act. Parking mode is only available in dash cams which are hardwired into your vehicle. Drunk, distracted and other dangerous drivers can be hard to catch. Even if you call the police, the officers still have to witness the dangerous activity in person. Unless you’re able to capture the incident on tape. Dash cams are also a great way to protect yourself from road rage. Image quality matters significantly. After all, you never know when an incident might occur. You need a camera which can capture clear, high-quality video even in low light and bad weather situations. Plus, you’ll need a clear image to capture necessary details such as another car’s license plate. Generally, you’ll want a high definition camera with a resolution of either 720p or 1080p. Whenever possible, try to find videos shot with the camera in real-world situations. This will give you a better idea of what the camera is capable of. Manufacturer’s videos can be useful but they’re also usually shot in the best possible recording conditions. Look for durable, high-quality construction. The best dash cams will be able to withstand high temperatures. After all, the camera might be in the direct sunlight for extended periods of time. Generally, most people prefer small, discrete cameras. You don’t really want your camera to be noticeable, as then would-be criminals could potentially avoid the lens. One of the most common mounting locations is behind your rear-view mirror. Putting the camera behind the rear-view mirror has two major benefits. First, the vantage point lets you record a wide view of the road in front of you. Also, the dash cam can remain hidden, blending in with the stem of the rearview mirror. For best results, you’ll probably want a black dash cam. Dash cams manufacturers will often emphasize processing power, which is the CPU of the camera. While more processing power is typically better, it’s not the only factor in determining video quality. Cameras with the same exact processor can have wildly different video quality based on both the CMOS sensor and the lens type, so check out all the specifications – not just the CPU speed. Here’s a feature you probably don’t want in a dash cam. Some dash cams include LED lights to improve night visibility. The problem is these lights rarely work well. In many cases, they simply cause additional glare from the windshield. If you like a particular model which has LED lights, you can simply not turn them on, but LED lights aren’t a must-have feature for a dash cam. Simple and effective, a dash cam adds an extra layer of protection against accidents, hit-and-runs, angry drivers and other dangers both on the road and while parked. With looping video, you’ll always have coverage without having to worry about changing tapes or filling up virtual storage space. You also don’t need to spend big to find a great cam. The best dash cams are under $100. Using our guide above, you can find the perfect dash cam for your vehicle to help you stay safe behind the wheel.